Canine arthritis, better known as osteoarthritis, is seen in a quarter of all dogs. It can affect up to 4 in 5 older dogs. It is a disabling, chronic, progressive and painful disease process. There are many different options for treatment. Now there is a new treatment on the market that looks promising, especially for dogs who cannot tolerate presently available anti-inflammatory drugs like Metacam or Previcox. 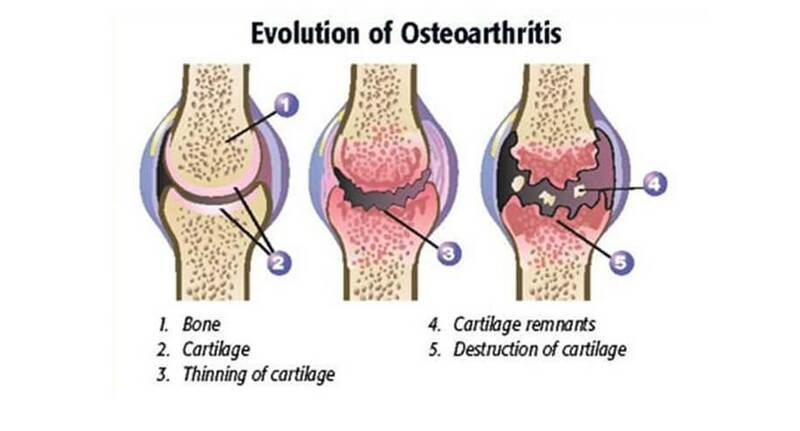 Osteoarthritis is a progressive disease of the joints associated with degeneration and inflammation of the joints. It should not be confused with septic arthritis. This disease is either to do with abnormal joint and cartilage development as a puppy, or is aquired from trauma or infection. Either way it is probably not your fault that your dog has arthritis. Arthritis starts with damage to the cartilage in the joint which then leads on to inflammation and pain. Over time further damage occurs and new bone starts to form around the joint. This new bone leads to the joint becoming stiff and a reduced range of movement in that joint. In turn this leads to muscle loss and associated weakness. This process is known as ‘Degenerative Joint Disease’. There are many signs of canine arthritis. It is important not just to assume these signs are down to old age in your dog and ignore them. Canine arthritis treatment can significantly improve your pets quality of life. The most common signs we see are limping or stiffness when walking, reluctance to exercise, play or jump, slowing down on walks, licking at joints and resting more. Each dog will present differently. Some dogs will show most signs whilst others may only show a few. Also many of these signs are non-specific and could be due to another disease. It is a common misconception that dogs in pain will vocalise. Whilst this is often true for acute pain, dogs in chronic pain rarely vocalise. Canine arthritis is diagnosed with a combination of clinical signs, physical examination from a veterinarian and further testing such as radiographs. It can sometimes be tentatively diagnosed based on a response to anti-inflammatory medications. Radiographs are important to check that it is not another condition such as a bone tumour which can show similar signs. Arthritis can only be cured by replacing the joint. This procedure is highly specialised, expensive and not available or suitable in all cases. In most cases the arthritis cannot be cured and so treatment is based on management of the disease. This involves managing the inflammation and pain to reduce stiffness. However there are many other things that can be done to help with an arthritic dog. It is not all about the drugs, but very much about the management at home too. The quicker you diagnose arthritis and start treatment to manage it the better the life your dog will have. What is the treatment and management? There are many different areas of treatment and management of canine arthritis. The first and most important one is to first identify that your dog has arthritis. From there there are many things that can be done to improve your dogs quality of life and happiness. The more management techniques that are used the better. This is because each one will help to some degree and the added effect of them all gives the greatest benefit. It is important however to remember that we are not fixing the problem, but managing it as best as possible. The different management techniques include: weight management/weight loss, adaptations at home, modifying exercise routines, hydrotherapy, physiotherapy, joint supplements, anti-inflammatory medications, specific diets and other veterinary therapies. For more information click here. 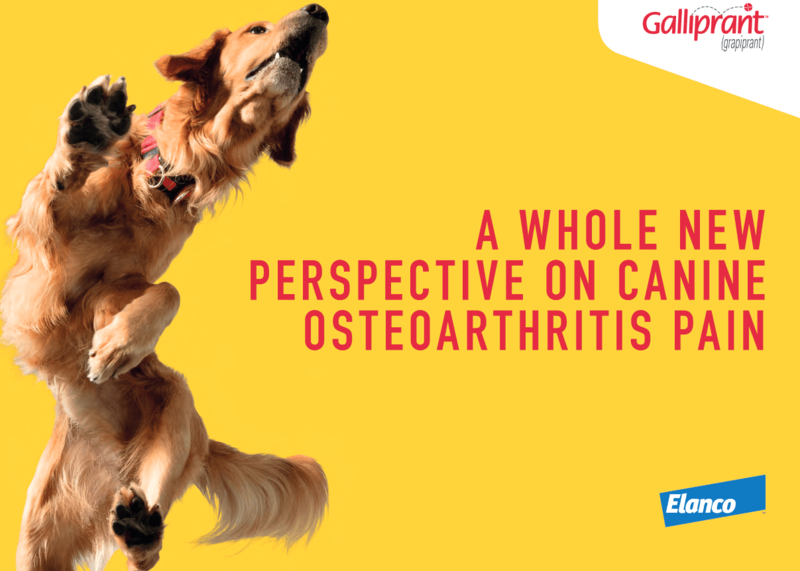 Galliprant is a brand new type of anti-inflammatory and pain relief drug, known as a piprant. It has been developed from similar drugs called non-steroidal anti-inflammatories, such as meloxicam (AKA Metacam, meloxidyl or loxicom) or carprofen (AKA rimadyl). However this new piprant class of drugs are much more targeted. This means that instead of working on several receptors in the body it targets just one canine specific receptor This particular receptorh has been identified as the key receptor for pain and inflammation in canine arthritis. Due to it only targeting one receptor unlike the non-steroidal anti-inflammatories there are reduced risks of side effects, such as the effects seen on the liver, gut and kidneys with our older medications. Galliprant comes in three tablet sizes. They are pork flavoured with hydrolyzed proteins. This means they should be easy to give and not affect dogs which have allergies. The tablets are given once per day at least 1 hour before food on an empty stomach. Clinical response to treatment has been seen within 7 days. The clinical signs will keep improving for the next month or so while the drug has it’s effects. Are there any side effects seen? Galliprant is still a new drug so long term effects have not been completely documented. However preliminary studies show that doses higher than needed given over 9 months had no effect on the kidneys or liver and no gastric ulcers occurred. The most likely side effects seen in the trials were transient intestinal signs such as vomiting once or twice and mild diarrhoea, these stopped with continued treatment and were only seen rarely. For more information on Galliprant click here.